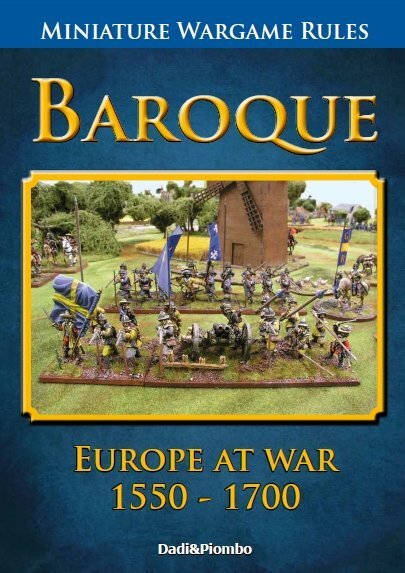 Baroque is a set of wargames rules, based on the Impetus system. The rules allow you to play with miniatures the wars that ravaged Europe from the mid XVI Cent to the end of the XVII Cent. 56 full color pages (incl. covers), A4 format. Spiral bound. The book includes several diagrams, examples, game tips, quick reference sheets and 7 army lists.